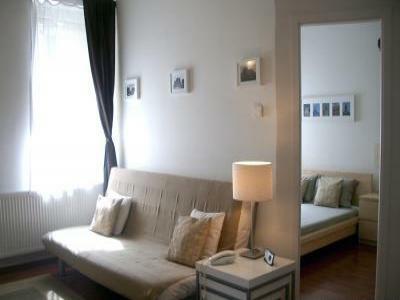 In the Heart of Budapest, Western Standard 1 Bdr. by exceeding the requirements for such rating. calls the part of this lovely district. side, Ulloi ut's North side provide the four borders of Palota Negyed. practical are the words that best describes this lovely apartment. Great Synagogue and more, the apartment is ideally located. with fridge, stove, mmicrowave, caffe maker, plates, dishes and cutlery. Your apartment contains a small built-in safe for your convenience. private heating system, air-conditioner and its own washer and dryer. If you prefer daily cleaning, it could be arranged for a nominal fee.